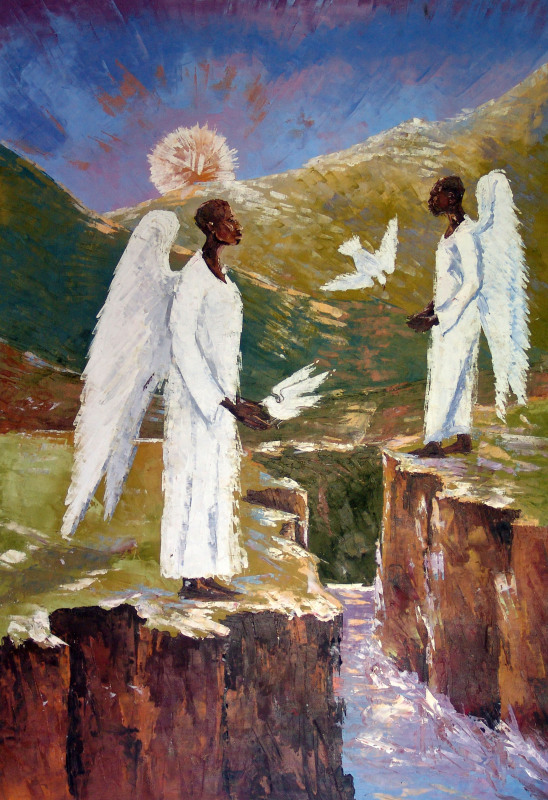 This oil painting depicts beautiful scenery of a stream. 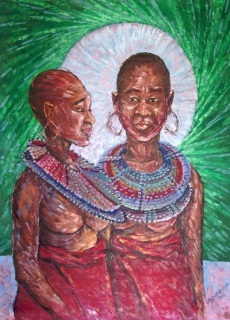 These beautiful women depicted in this oil painting wear large Masai necklaces. 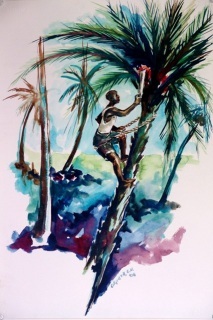 This oil painting depicts a person climbing a palm tree. 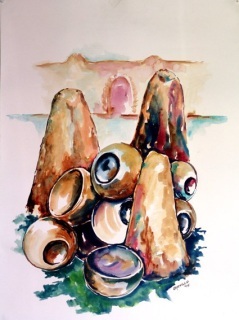 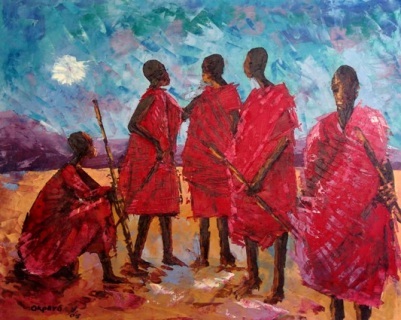 An abstract piece of art depicting scenery in Kenya. 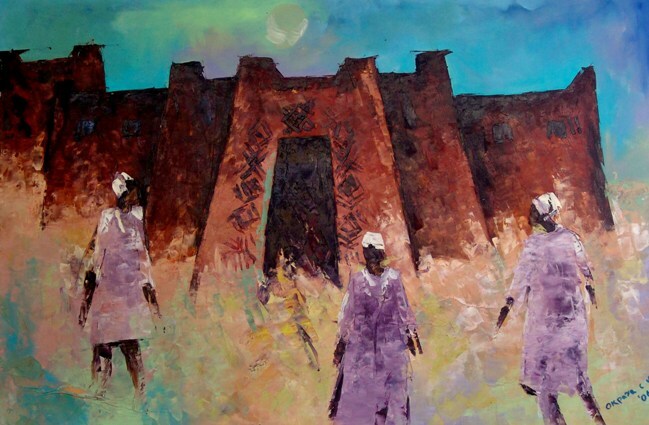 Hauntingly beautiful oil painting. This piece of art tells the story of a tribe set in Kenya. 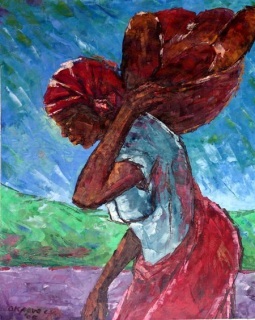 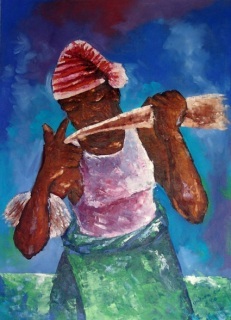 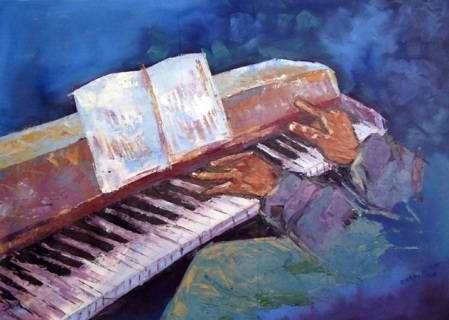 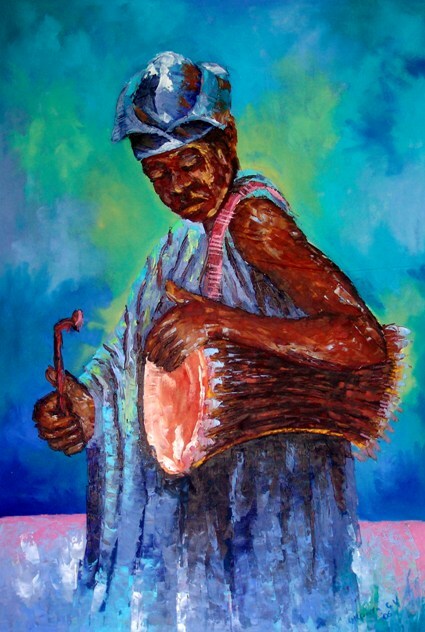 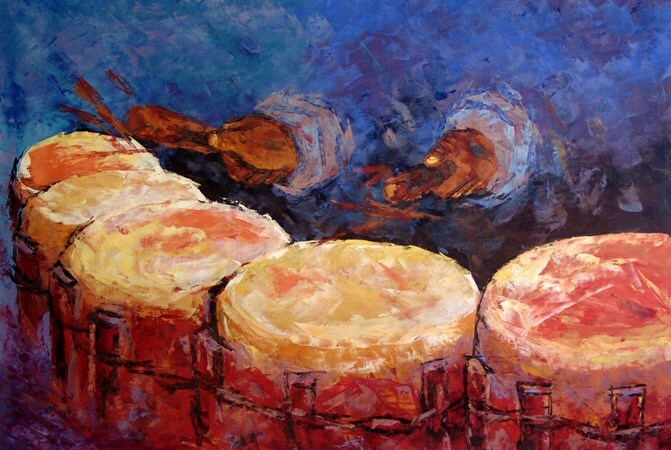 This beautiful piece of art depicts Men and women in Kenya playing the drums.